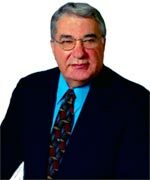 Gerard M. DamianiServing Rockland County For Over 50 Years. Trust in your attorney is one of the most important aspects of the relationship you have with them. McCormack, Damiani, Lowe & Mellion have been in business in Rockland County for over fifty years. You’ll find our attorneys have unquestioned professional experience and integrity. Other attorneys and judges have granted our firm the coveted AV rating in the Martindale-Hubbel International Legal Directory and illustrates that within the legal community, amongst the bench and bar, our firm is regarded as pre-eminent and of the highest ethical standards. Four of our attorneys (Mr. McCormack, Mr. Damiani, Mr. Mellion, and Mr. Johns) have served as President of the Rockland County Bar Association and Mr. Lowe is serving on the Rockland County Bar’s Board of Directors and we expect will be elected as President. Mr. Damiani has also served as one of the past Presidents of the New York State Association of Criminal Defense, a state wide organization of over 1,000 Criminal Defense attourney members. Since advertising by attorneys has been approved by the state, all types of claims are advanced by other law firms in an effort to solicit your business.You should select an attorney based on their credentials and experience. Our attorney’s reputations are unparallel in Rockland County and the surrounding Hudson Valley. We look forward to serving your legal needs.